At Colorado West Audiologists, we provide an extensive range of hearing evaluations and services designed to help us diagnose and treat your hearing condition at its source. Once we fully evaluated your hearing, we follow up with customized treatment options and accessories that will best meet your hearing needs and fit your lifestyle. 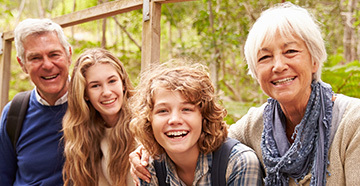 Learn more about the audiology and hearing aid services offered at our practice. We provide both Bluetooth hearing aids that can be wirelessly connected to devices such as televisions, cell phones, FM systems, GPS systems, PDAs and Bluetooth-friendly accessories like custom earmolds for cell phone headrests and hands-free accessories. Occupational noise-induced hearing loss is a growing concern, but it can be prevented. We provide resources on the OSHA requirements your employer should be following as part of a hearing conservation program. Our hearing evaluations use tone and speech tests to reveal the extent of your hearing loss. With this information, we will determine whether hearing aids or other treatment options will best improve your hearing. Assistive listening devices (ALDs) can help those with hearing loss communicate better in everyday situations. In the home, they can be used to create custom alarms and enhance the output of television and telephones without interfering with equipment or disturbing other listeners. In public, ALDs can be connected to personal hearing aids for better listening in noisy environments. Our audiologists will evaluate your needs for these devices and demonstrate how they can be helpful to you. Musicians are often exposed to high levels of sound for long periods, placing them at risk for permanent hearing damage. We provide evaluations and fittings for musician’s earplugs – custom devices that help limit excessive sound exposure from musical instruments while persevering the richness of the experience. When we dispense your hearing aids, an audiologist will have you try them on in the office so we can fine-tune the programming and fit. This process ensures long-term comfort and satisfaction with your new hearing aids. We also provide troubleshooting and minor repairs for your hearing aids in-office and can send devices that need major repairs directly to the manufacturer for service. In addition to the extensive hearing testing offered at Colorado West Audiologists, our practice also provides a number of hearing aid services to ensure you receive the proper treatment for your condition. Industrial work sites with excessive noise levels pose a hazard to hearing, so those who work in these places need regular hearing tests. Our audiologists provide 30-minute industrial hearing screenings that comply with OSHA standards. Our audiologists give basic and specialized hearing tests and services. The audiologist will review your symptoms and medical history to determine which hearing evaluations will be most beneficial to diagnosis. 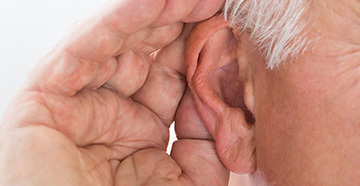 Tinnitus, or ringing in the ears, affects millions of adults in the U.S. Tinnitus evaluations can help identify the severity of your symptoms and help you manage it with a variety of devices and therapies. The earlier we detect hearing problems, the less likely a child will experience speech and language learning delays during the crucial developmental years. Our pediatric audiologists provide a full range of hearing services designed to diagnose and treat hearing conditions in infants and children. VNG, which stands for videonystagmography, is used to evaluate the vestibular balance system in patients with symptoms of vertigo, dizziness and other balance disorders. VNG studies are also combined with hearing evaluation tests if an audiologist suspects an inner ear disorder.